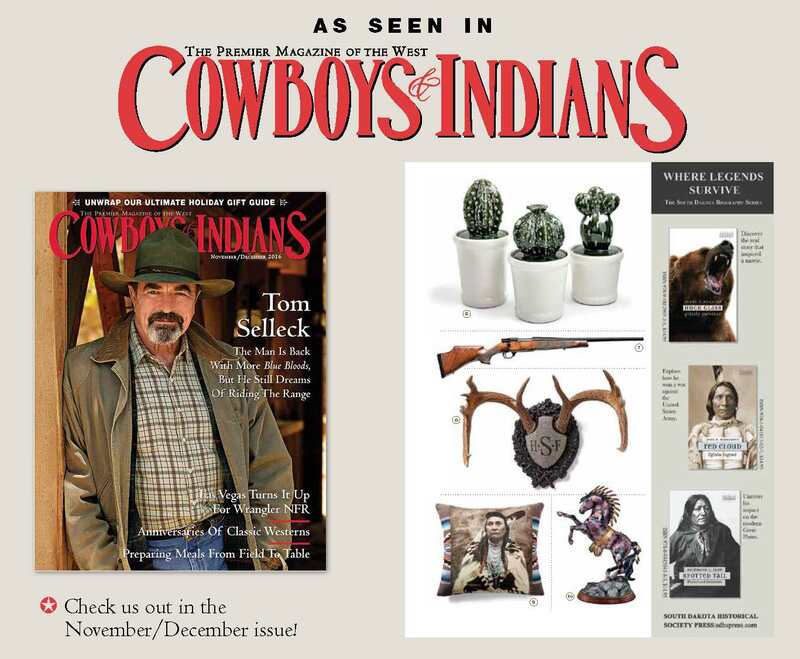 We were blown away when Cowboys & Indians Magazine featured us on the front page of their holiday gift guide 2016. They did such a creative display with our Blesbok mounted on our Tradition Panel. They set it on a barn wall and surrounded them with garland and lights for a rustic holiday feel. 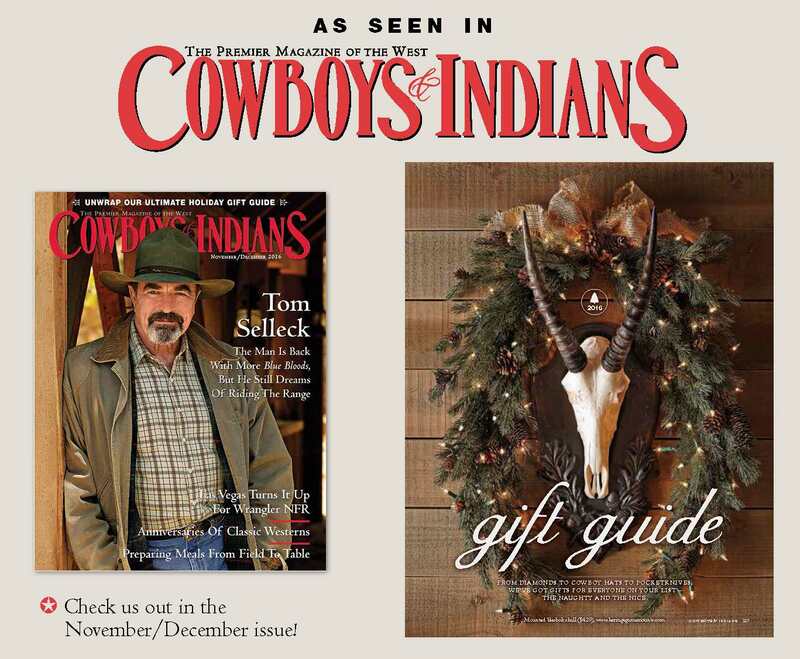 Blesbok mounted in the Heritage Game Mounts Tradition panel for Cowboys & Indian Magazine gift guide 2016. Then later in the holiday gift guide they featured our popular monogrammed Legacy that can be personalized for special trophy. And keeping company with Tom Selleck ——! Choose from one of our distinctive panels for your antlers or choose from our ready to hang collection. Be sure and follow us on Instagram and Facebook!